Home » History » Was King John really that bad? Was King John really that bad? If there’s one English Monarch who’s consistently had a ‘bad wrap’, as the Americans would say, it’s King John I. He’s the ultimate in abuse of absolute power, an archetypal villan – epitomised forever in the tale of Robin Hood as the cruel King oppressing his people with taxes and arbitrary justice whilst plucky Robin Hood robs the rich to feed the poor. But is this true ? Was his rule really as bad as folklore seems to say ? Most people are aware that the Robin Hood tales are legendary, indeed their earliest versions make no mention of John at all. The king was first inserted into the Robin Hood story in the 16th century, but his inclusion has no historical basis whatsoever. So it might be supposed, therefore, that he must have been unfairly maligned and that in reality he was probably not nearly as bad as legend maintains. In the 20th century, some historians put forward a case for the king’s defence, arguing that his badness was largely a later invention, and that his misfortunes as a ruler were mostly down to ill luck. So successful was this rehabilitation that, in the popular imagination, John is now often seen as being the victim of a posthumous smear campaign, a king no worse than most others – misreported and misunderstood. HOWEVER Among academics this interpretation has not fared nearly so well, for the simple reason that it requires some BIG facts about his reign to be downplayed or ignored completely. 1. He arranged the ‘disappearance’ of his nephew and rival, Arthur of Brittany. Arthur was only the most famous of John’s victims. When the king captured his nephew in 1202, he also took prisoner hundreds of other knights, who expected to be held in honourable confinement. Yet when their friends and families in Anjou and Brittany continued to fight against him, John rounded up 22 of these knightly captives and sent them to Corfe Castle in Dorset, where they were starved to death. This clearly shocked every other noble family in England, but did not deter the king from threatening to mete out similar treatment to others: in 1215 and 1216 he induced some of the Magna Carta rebels to surrender by threatening to starve their captive companions. When the French finally invaded England in the spring of 1216, John watched them disembark on the beaches of Kent, briefly considered fighting them, then rode off in the opposite direction. So fast was his retreat on this occasion that he was three leagues away before his troops realised he had abandoned them. He made an attempt to seize the throne for himself while his brother Richard, the rightful king, was in captivity. He frequently and repeatedly forced himself on the wives and daughters of his barons. His regime, was generally extortionate in its nature with huge taxes and arbitrary fines, resulting in what is reckoned to have been the greatest level of financial exploitation in England since the Norman conquest. John certainly persecuted the church with a particular fury after his row with the pope over the appointment of a new archbishop of Canterbury. 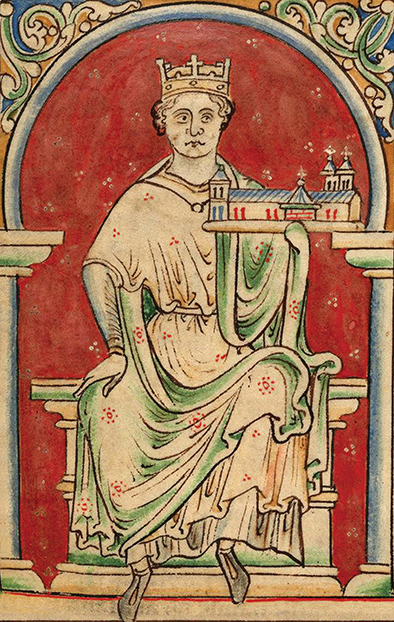 He drove the monks of Canterbury into exile and eventually seized the lands of all the English clergy – moves that led to England being laid under interdict and the king himself being excommunicated. The clergy certainly had good reason to hate him. After having signed Magna Carta in 1215 John claimed it was signed under duress. In the ensuing civil war John laid waste to the northern counties and the Scottish border. Prince Louis of France then invaded at the barons’ request. 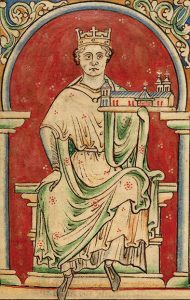 John continued to wage war vigorously, but his death in October 1216 enabled a compromise peace and the succession of his son Henry III. In fairness we should at this point probably make the case FOR John – to try to mitigate or explain away some of the above – but given the indisputable and horrendous facts that can be levelled against him no amount of good deeds or mitigating circumstances can ever really wash away what we know. So, whilst most kings were capable of behaving badly from time to time, when it came to lechery, treachery and shocking acts of cruelty, the king who sealed Magna Carta 800 years ago was in a league of his own. In a Nutshell : YES – he was bad! – worse even than legend has made out!